It is the final day of the 2016 Cheltenham Festival on Friday featuring the £575,000 Cheltenham Gold Cup at 3.30. Willie Mullins has swept all before him this week and saddles three in his quest for a first Cheltenham Gold Cup victory. Ruby Walsh partners Djakadam who finished runner-up to Coneygree 12 months’ ago. His preparation did not go to plan with a nasty fall here in the Cotswold Chase. The fact that easy Ryanair Chase was switched to the shorter race suggests that there is plenty of stable confidence behind Djakadam. Gold Cup day gets under way at 1.30 with the Triumph Hurdle. Mullins has three runners here while Paul Nicholls saddles five. Footpad may well prove the best of the Irish but Connetable beat some useful older horses last time out and could represent some each-way value. Sceau Royal has done little wrong all season and could provide Alan King with his first winner of the Cheltenham festival this year. The County Hurdle at 2.10 looks wide open but Great Field and John Constable look the last exposed runners in the field. Barry Geraghty is yet to ride a winner at the meeting but Great Field has plenty going for him in the JP McManus colours. 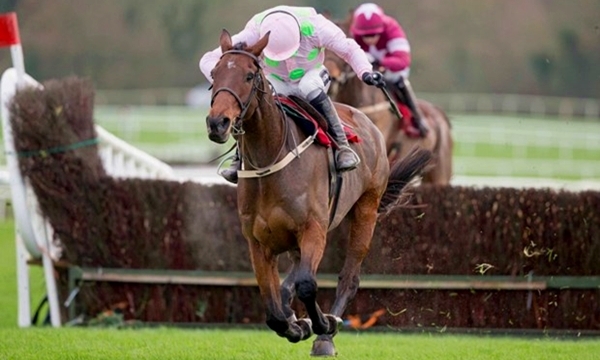 Gangster is one of seven runners from the Mullins stable in the Albert Bartlett Hurdle at 2.50. He looks certain to see out this trip while Unowhatimeanharry takes a step up in class after showing progressive form in handicaps for Harry Fry. All eyes will be on Victoria Pendleton in the Foxhunter Chase at 4.10. The dual Olympic cycling gold medal winner has worked hard to earn the right to ride Pacha Du Polder in this race and her only goal is to complete the course. The horse is a decent performer at this level but Paint The Clouds and Dark Lover may represent better each-way value. The Cheltenham Festival 2016 comes to a close with two very competitive handicaps for punters to unravel. The Martin Pipe Hurdle at 4.50 can be fought out by Childrens List and Flying Angel. The latter is up 5lbs for his Sandown triumph last weekend but the stable are in excellent form. The Grand Annual Challenge Cup at 5.30 brings the curtain down on Gold Cup day and the Cheltenham festival for another year. Sizing Codelco could provide Ireland with yet another winner while Surf And Turf could prove the best outsider.